Disney Doc McStuffins Pillow on The Go Only $8.59 (Reg. $24.99)! You are here: Home / Great Deals / Amazon Deals / Disney Doc McStuffins Pillow on The Go Only $8.59 (Reg. $24.99)! Do you have a Doc McStuffins fan in your life? If so, hurry and snag this great Disney Doc McStuffins Pillow on The Go for only $8.59! This is perfect for travel over the holiday season. 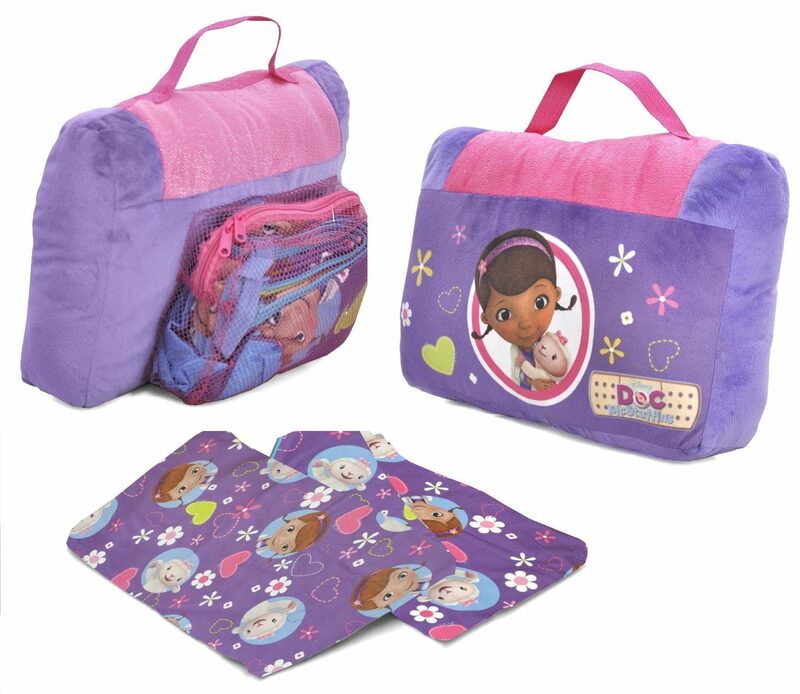 Your child will love this adorable Doc McStuffins On-The-Go Pillow set. The set includes a die-cut pillow and a slumber sack that is made of 100 percent polyester. Features a carry handle and mesh pocket to easily store the slumber sack. This set is perfect for sleepovers, nap time, movies and more! Perfect for sleepovers, travel, naptime and more!